United Nations denounces Myanmar's military offensive as ethnic cleansing, but Myanmar insists its forces are fighting "terrorists." The lack of humanitarian access granted by Myanmar's government to Rakhine state, where more than half a million Rohingya Muslims have fled violence, is "unacceptable," the UN said Friday. A small UN team visited the crisis-wracked region in majority-Buddhist Myanmar in recent days and described witnessing "unimaginable" suffering. 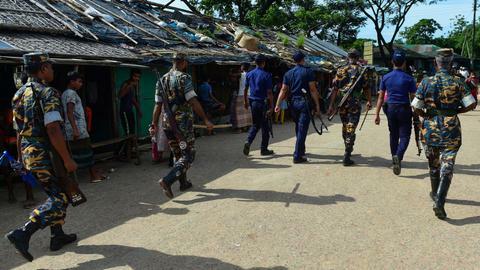 Some 515,000 Rohingya have arrived in Bangladesh from Myanmar's western state of Rakhine in an unrelenting movement of people that began after Myanmar security forces responded to Rohingya militant attacks with a brutal crackdown. Mark Lowcock, UN under-secretary-general for humanitarian affairs, reiterated an appeal for access to the population in northern Rakhine, saying the situation was "unacceptable." "This flow out of Myanmar has not stopped yet, it's into the hundreds of thousands of Rohingya (who are) still in Myanmar, we want to be ready in case there is a further exodus," Lowcock told a news briefing in Geneva. "Half a million people do not pick up sticks and flee their country on a whim." 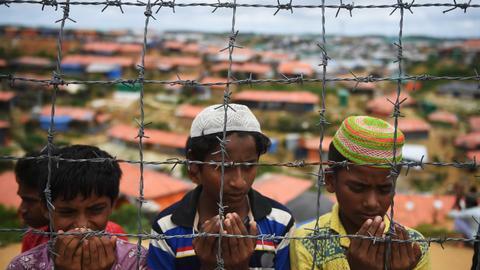 An estimated 2,000 Rohingya are arriving in Bangladesh every day, Joel Millman of the International Organization for Migration (IOM) told a separate briefing. About 900,000 doses of cholera vaccines are due to arrive this weekend and a vaccination campaign should start on Tuesday. UN-led aid bodies have appealed for $434 million over six months to help up to 1.2 million people – including 300,000 Rohingya already in Bangladesh before the latest crisis and 300,000 Bangladeshi villagers in so-called host communities.